In addition to our extensive Nylon products, Nylatech also manufactures premium Acetal Rod & Acetal Sheet (Copolymer). 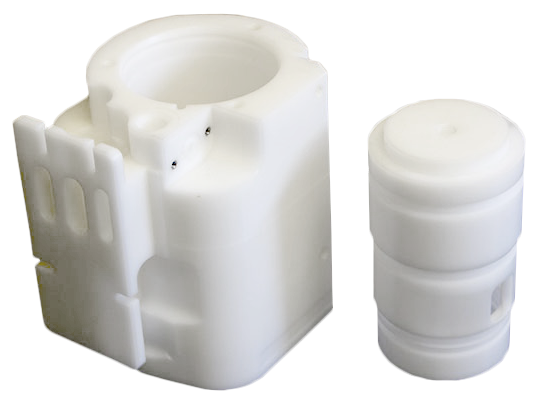 Nylatech Acetal offers high strength and a resistance to impact and fatigue with a low coefficient of friction and good wear properties especially in wet environments. Our full line manufacturing capabilities allow for the production of all your stock shape needs as well as semi-finished and finished custom cast components for increased savings and quick turnarounds. Rod ¼” dia to 6”dia in stock.